Where the heck did this week go? So happy it is Friday and looking forward to relaxing this weekend but also hoping to get a lot done (especially stuff for my upcoming fundraiser). Today was a long and emotionally draining day at work so the weekend is coming at a perfect time. Today I did the kind of social work I like best but it also takes the most out of you. I sat with, counseled and supported a large family before, during and after they had their mother's life support removed. This is the kind of work I'm best at - what I'm meant to do - and I enjoy it. . . but it is exhausting and draining and sad. I get to go home and put it behind me. The family has to adjust to a new life - one without their mother who was very special to all of them. On another note, don't even get me started about the Red Sox. I went to bed on Wed night w/ the Red Sox winning and Tampa Bay losing (by a lot like 7) so needless to say I thought I was save to go to sleep. WRONG. Talk about being in shock when I woke up on Thur morning. Disgusted. So sad the Red Sox are done but there is always next season. And now for the Fabulous Fall Blog Challenge that I clearly stunk at keeping up with this week (and last but who's keeping track?!) So here we go. Fortunately since I live in New England I don't have to go far to enjoy all that fall has to offer. On a daily basis I see leaves of beautiful colors, pumpkins, scarecrows, and other fall decorations. I do enjoy getting away for long weekends but this year I don't have any fall trips planned. Outside of New England I LOVE wine county in the fall. I've been in Sept twice and it is so beautiful that time of year. Last year I went to CA and spent a couple of days in wine country. Go here to read about that trip. Ok I know this might upset some of you and please don't stop reading my blog just b/c of this but I'm not really into football. GASP! For one I don't really understand the rules and just never really cared to learn them. I'll watch a game here and I certainly enjoy "football food" but that is about it. The last football game I went to was Notre Dame at Boston College. It was fun but more b/c of the teams and the rivalry. My brother, Steph (in pic) and several other friends graduated from ND and of course I went to BC for grad school but have always been more of a ND fan from growing up w/ my brother there. I love Thanksgiving. Any holiday that is all about yummy food is a good day in my book. 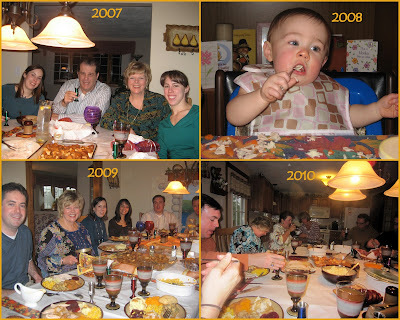 I have a small extended family so traditionally we all get together every year (although in recent years my married brother and married cousin have been going to their in-laws). It is usually a relaxing day for me (since I don't have to do the cooking) and we always play a family game after dinner - our two favorites are "skat" which is basically trying to get 3 cards in the same suite as close to 31 as you can and "left, right, center" which is a dice game. We play both for money and even though it isn't much it is always fun to win! I'm linking up w/ Neely and Amber again today. Day 7 of the Fabulous Fall Blog Challenge is Fall Recipes and this is an easy one for me b/c I definitely have a favorite that I always look forward to as soon as fall arrives. In a mixing bowl, combine flour, sugar, cinnamon, baking soda and salt. Add pumpkin, oil eggs, milk and vanilla. Drop by Tablespoonfuls onto greased baking sheet or cooking stone. Bake at 375 degrees for 13 to 14 minutes or until edges just begin to brown. Cool for a minute and remove to racks to cool completely. These cookies are DELICIOUS! 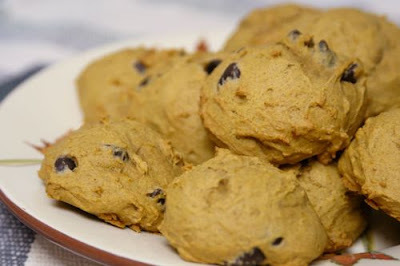 The recipe makes a ton of cookies and they freeze really well. I often freeze a bunch of them and take a few out each week so that they last me all fall (and sometimes I share some too)! I highly recommend trying them out. My life changed in an instant. . .
"You have MS" was all it took. . .
and here I am today, a changed woman. For the better? I'm not sure. Stronger, yes. Braver, yes. Who knew I was capable of surviving this? Learning to be a health activist, advocate, fundraiser, event organizer and a patient. . . I now know I am capable of all of these things and so much more still yet to be seen. MS picked the wrong person when stopping by my body. I will continue to be strong and brave, to advocate, to raise money and awareness. . .
until there is a cure! MS has brought many negative things to my life but why focus on those? MS has also introduced me to amazing people who I likely never would have met. MS motivated me to start a blog and what an amazing journey blogging has been. So thankful for all of the friends I've made through blogging. MS had forced me to try things I may have never, ever tried. 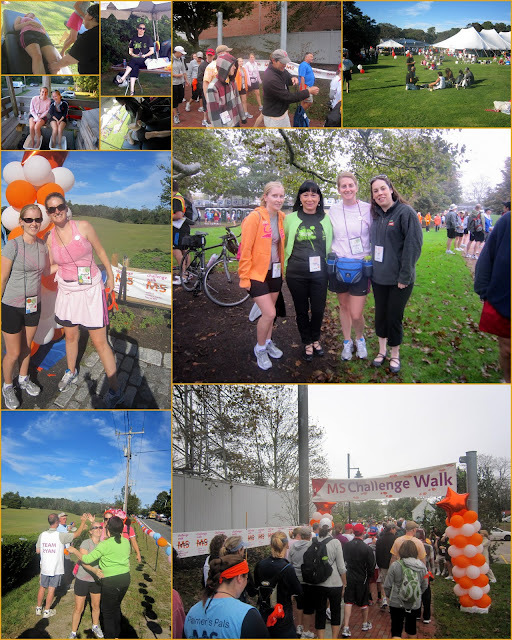 Like walk 50 miles in 3 days next September at the MS Challenge Walk. To model in a fashion show for MS this November. To be a health activist through many avenues and to speak for those who cannot. To organize fundraisers. To raise over $30,000 in three years with The Bean Team. I never expected that this would be my life. But my life it is an what an amazing life that is. I'm so thankful for the continued support of my family, friends, colleagues, donors, and everyone else! To read my diagnosis story go here. Why do weekends go be SO fast? I had twice as much "planned" for this weekend but of course never got half of it done. That is just the way it goes I guess. It was a great weekend (except for the fact that the Red Sox lost a lot)! Saturday afternoon I went to visit my friends Justin and Alison and finally got to meet 8 week old Aubrey! 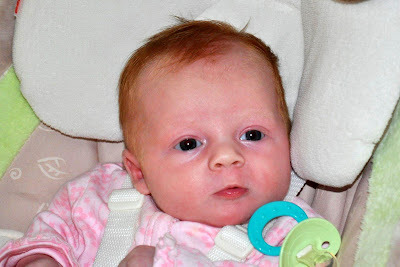 She is adorable and I LOVE her red hair. I learned that Ms. Aubrey had also had a massage that morning! She's a girl after my own heart. Saturday evening was non-eventful with a trip to Target and a few other errands before crashing in my bed with reruns of Law and Order SVU. Sunday morning I made my first ever trip to the SoWa Open Market in the South End of Boston. 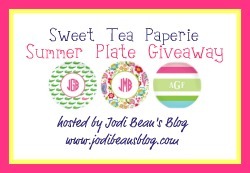 I got to meet Amanda of Sweet Tea Paperie (you may remember that my first ever blog giveaway was with her). She has a table where she sells awesome soy candles in many delicious scents. Amanda and I have a lot in common - we both went to college in NC, we both have masters in social work/counseling, we both live in Boston, we both love crafty stuff. . . so it was really fun chatting with her and getting to know her better. Hoping we get to hang out again soon (after she gets married in 3 weeks)!! The market was pretty cool. They sell a lot of different things from jewelry, to baby hats, note cards, paintings, baby clothes, dog clothes, etc. There is also a farmer's market with fruit, veggies, flowers and lots of yummy treats! Sunday after we had a family get together to celebrate my Aunt Cathy's retirement. My aunt was an elementary teacher for 30 years and then took a leave from teaching to be the Political Director at American Federation of Teachers (AFT) for 9 years. We went to Margaritas Restaurant and enjoyed margaritas and yummy food! Laney enjoyed being passed around the table! She is such a happy baby and smiles all the time. I just couldn't seem to catch her smiling in a photo - hate that delay on digital cameras! After we went back to my brother's house for cake and presents. Cathy got a lot of great retirements gifts that she will hopefully find time to enjoy! She has quite a few vacations planned which are all well deserved! Congratulations Cathy! Enjoy and make the most of your new "job! The Bachelor (looking forward to Ben)! For new shows not sure if there is really anything I'm dying to see but open to suggestions if you've watched any good ones!!!! Yes I realize I pretty much stink at this blog challenge. Better late than never though right!? So here is Day 5 a couple of days late. I'll try to be better on week 2 but no promises! So Day 5 is things I am looking forward to for Fall. Since I have already talked about some of my favorite fall things on Day 1 I'm going to be more specific in this post and talk about things I'm looking forward to specific to THIS Fall. This year I hope my event will be bigger and better! There will be awesome silent auction items, food, drinks and plenty of good times. In case you haven't heard THE BEAN TEAM IS TAKING OVER BEAN TOWN! 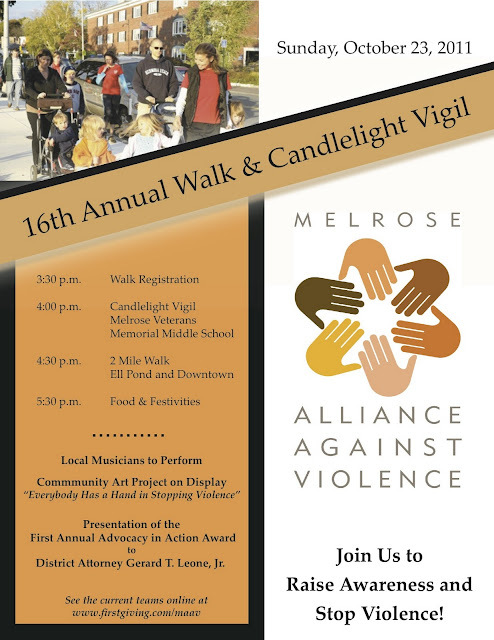 I'll be walking to raise awareness about a very important issue, domestic violence. October is Domestic Violence Awareness Month and this is just one way to contribute. 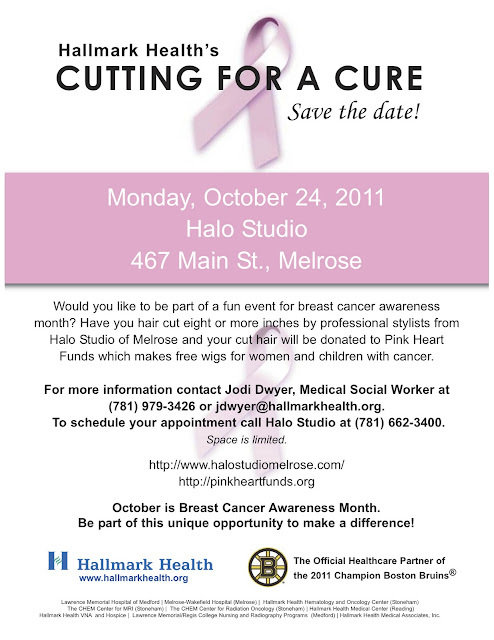 I've organized an event at work along with Halo Studio in Melrose. I along with several of my colleagues will be cutting 8 or more inches of our hair and donating it to Pink Heart Funds. I've donated my hair twice before and I'm excited (and nervous) to go short again! I'm involved in this event for the first time this year. I joined the committee to help out behind the scenes and ended up committing to being a model too. So nervous since this is a little bit out of my comfort zone but so excited to model with so many other amazing women with MS. Looking forward to showing off my new hair, getting my makeup done and wearing some really cute clothes from Ports & Company. And of course I'm looking forward to Halloween, Thanksgiving, birthdays, and hopefully a trip to Atlanta to meet Patrick! Last Thursday night I went to my first Girls' Pint Out event. It was a Magners Tasting at Back Bay Social Club in Boston. Magners especially Pear Magners is my favorite! I tried it for the first time a few years ago while visiting Ireland and have been a fan ever since. I'm so happy more bars are finally carrying it here in Boston. If you haven't tried it I highly recommend it. My cousin, Katelyn and I went to the event. She is a Magners lover too! And yes there are 5 pints of Magners in front of us. This was not your typical "tasting" rather it was drink as much as you can! Haha! We sampled the tradition cider as well as the pear but they served us full pints which was pretty nice. We also got to take home a keychain/bottle opener. 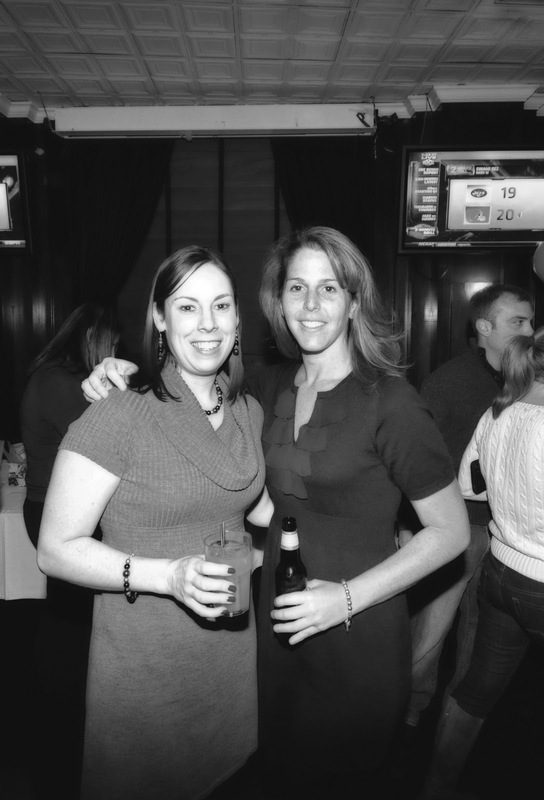 Magners and Girls' Pint Out sure knows how to host an event! I love decorating for all the seasons and holidays. I have tons of stuff (much of it is hand me downs from my mom but really nice stuff). When I lived in a big house/apartment w/ roommates I decorated for everything. Now that I live in a much smaller place I don't do as much decorating. The majority of my stuff is being stored in my brother's attic. This was the extent of my fall decorating last year! Yup that's it. Pretty cute though right? I picked those out last year when I took Peyton to the pumpkin patch. Hopefully we'll get there again this year. Oh and I hang a fall welcome sign on my front door. Someday I'll be able to decorate more when I live in a bigger place again. I'm linking up with Neely and Amber again. Check out their blogs for more details! My junior year of high school I hosted a Halloween party with my three best friends. I was a cowgirl! We invited all of our friends from school and it was so much fun. I remember that it was daylight savings so we were hoping we would all be allowed to stay out an hour later but no such luck! It is also the same night my highschool boyfriend asked me to be his girlfriend! As a kid I loved Halloween. I was a witch for MANY years and my Cabbage Patch Kid, Mitzy, had a matching costume that my mom made. It was so cute. My best costume ever was when I was a "dirty laundry basket" and I cut a hole in the bottom of the basket and wore it w/ clothes in it! Still trying to find pictures that I can scan in. As an adult I'm not the biggest fan of dressing up. Not sure why. I guess I just feel like all the good ideas have been used and I don't go to Halloween parties anyways so I don't really have to worry about it. I do love seeing my nieces and all the little kids dress up! Another great weekend that went by way too fast. . . The weekend started out at Fenway Park. Taylor (the 14 yr old I mentor) and I went to the Red Sox game and FINALLY saw a win AND had good weather. Taylor and I have been to many games and the Sox either lose or the weather is freezing and rainy or all of the above! Haha! We took some self portraits but were usually laughing too much to get a good one! While I was trying to get Taylor to take a pic of me I was taking pics of myself (while making funny faces) and I think she thought I was crazy. But it worked and she finally took a pic w/ me!! I got to catch up w/ one of my former adoptive couples at the game too. Gotta love FB - they posted they were at the game and they were sitting not far from us. So nice to see them! Taylor slept at my apartment that night so that we could do one of our favorite things on Saturday. 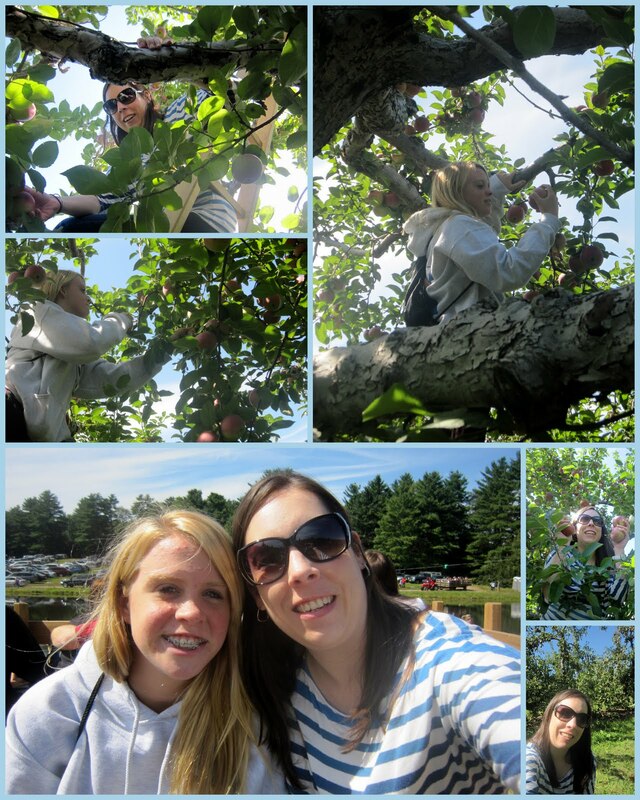 We went apple picking at Honey Pot Hill in Stow. 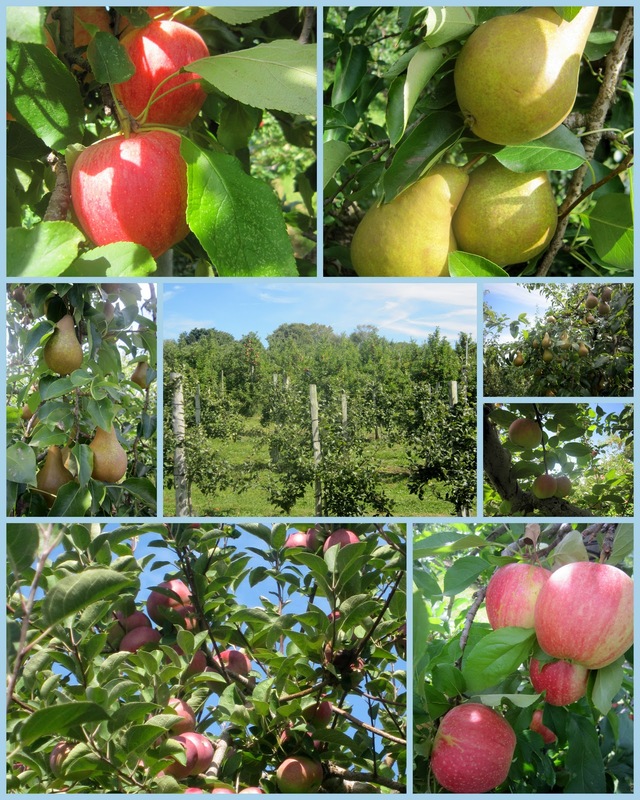 We've been there before and both really like this orchard. It was the most BEAUTIFUL day and we had a lot of fun. We got to pick apples and pears and of course we made sure to sample several (just to make sure they were ok)! My favorite is Gala and Taylor's favorite is Macintosh. We got plenty of both! After we had too many apples to carry we went to the farm store, ate lots of food including my fave cider donuts, saw the pigs and goats, and ran into Sam and Jake (the twins I babysit). We all did the hedge maze together. Taylor and I have done it before and let me tell you - we were no better at it this time. We all kept getting lost and it took us a while to find the center but we finally did! We had such fun. Apple picking is one of my most favorite fall activities so I'm glad I knocked it off my list early and still have time to do many more fun fall adventures! On Sunday I had to work supervising a visit for a family. I hate working on weekends but really can't pass up the money especially when I just had to get new brakes on my car this week! Fortunately the visit was outside so I got to make the most of another beautiful day. We went on a hike to an overlook in Gloucester. When we got to the top there was a beautiful view! After our hike we went to Woodman's for lunch and enjoyed views of the salt marshes. Woodman's is where scenes from the movie Grown Ups was filmed! It is a very popular restaurant and I had actually never been there before (likely due to the fact that I don't eat seafood) but I learned that they have gluten free batter for their fried fish so I though my friends w/ celiac disease would like to know that. Sunday afternoon when I finished working I was exhausted and really wanted to go home and take a nap. But I went and did some silent auction "soliciting" in my neighborhood. 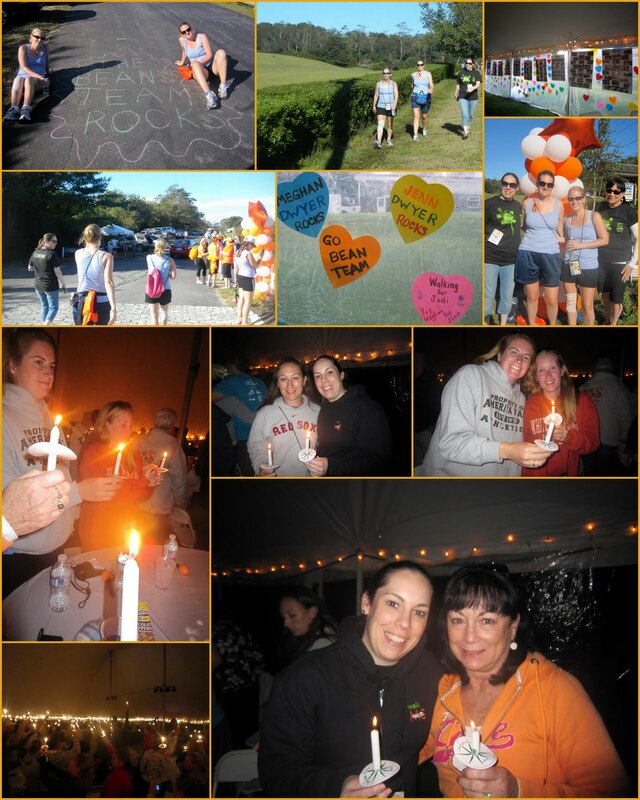 Jodi Bean's 2nd Annual Fundraiser for MS is October 15th and that date will be here before I know it. Got to get to work. If anyone would like to make a donation for my silent auction please email me. I will advertise your donation/site/blog/shop on my blog and FB page! I'm participating in the Fabulous Fall Blog Challenge. 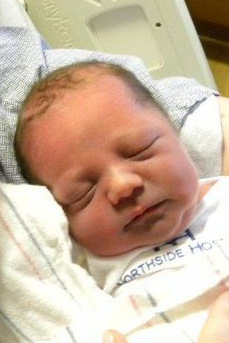 In case you haven't noticed my blog has been a little shall we say quiet lately. . . I've been so busy and just too tired at night to blog. Well this will give me ideas/topics to blog about every day for 2 weeks so I thought it would be fun. I've just told you about one in this post. I LOVE apple picking and make sure to go every fall. It really gets you in the mood for the season. I also love making apple crisp. I like crisp better than pie. Hoping to have time in the next few days to do some baking. Every fall I look forward to seeing my nieces in their Halloween costumes. They get so excited to get dressed up and look so cute. I already know what they are going to be this year and they are sure to be adorable! To check out their costumes from past years go here. Foliage is another favorite part of fall for me. Here in New England we get the most beautiful colors. Just driving to work everyday is like a mini sightseeing tour. I look forward to the changing of the leaves every year. Of course I love the treats that come with fall from cider donuts, apple cider, carmel apples, pumpkin chocolate chip cookies and much more! Fall is a yummy time of year. Oh and hopefully seeing the Red Sox in the PLAYOFFS! 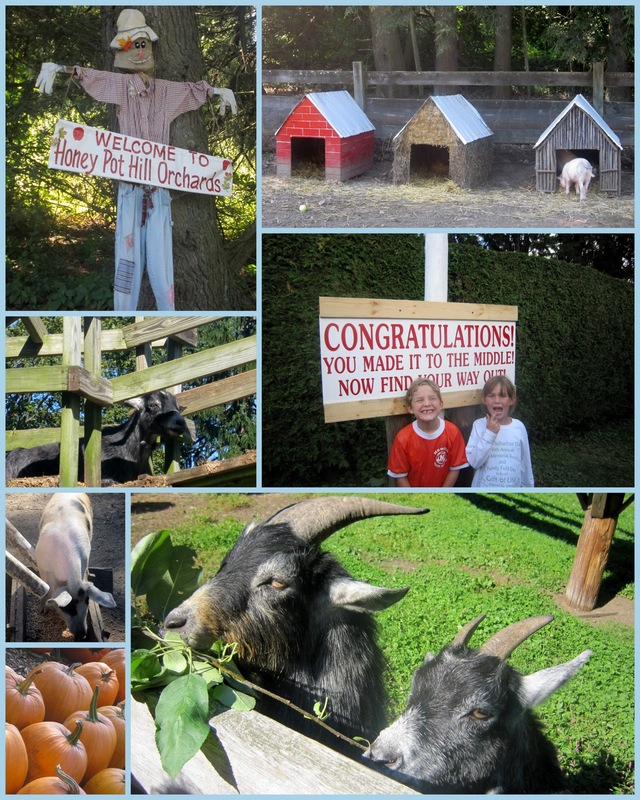 Hope you enjoyed reading about some of my fall traditions/favorites. Join in with Neely and Amber. 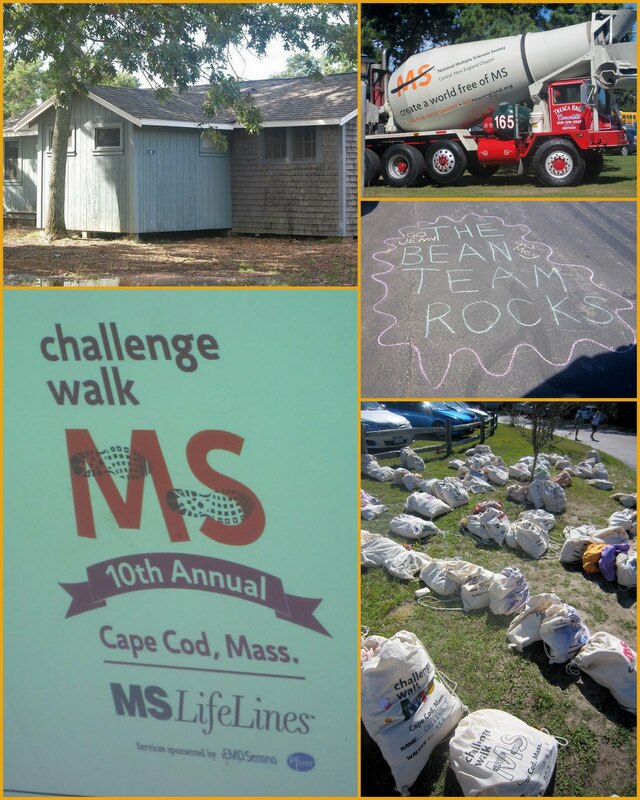 This past week was the MS Challenge Walk on Cape Cod. For those of you who don't know what that is it is 50 miles in 3 days. The walkers walk 20 miles Friday, 20 miles Saturday and 10 miles Sunday. Many of the miles are walked to the Cape Cod Rail Trail. The majority of the walkers and crew stay at the Cape Cod Sea Camps which is where all of the meals and events happen too. My mom and I did crew for the 2nd year in a row. To read about our experiences last year go here. For the first time The Bean Team was represented at the Challenge Walk by my sister-in-law Jenn and my cousin-in-law Meghan. They walked 50 miles and have already committed to doing it again next year (and somebody else may have too but more about that later). This year was the 10th Anniversary and the theme was "Welcome to the Circus." 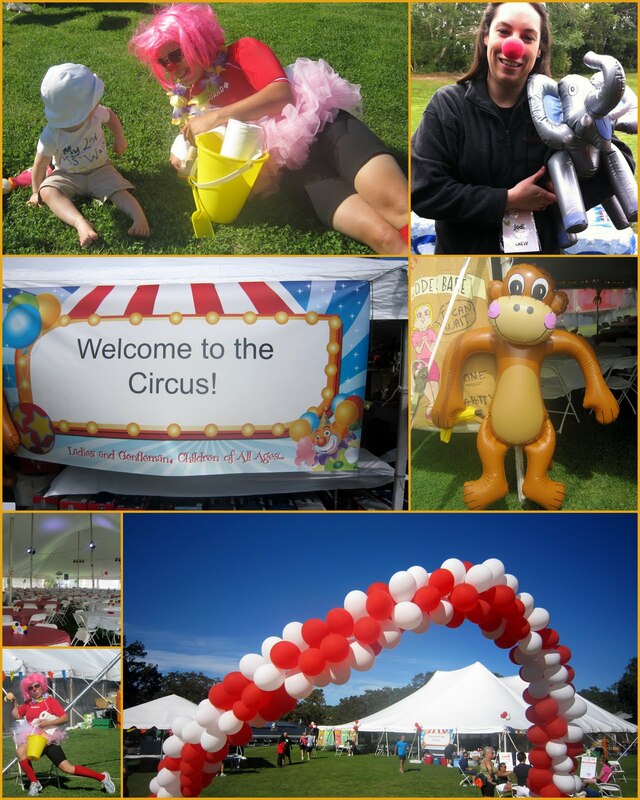 There was plenty of circus related decorations, food (popcorn and cotton candy), clowns and acrobats! 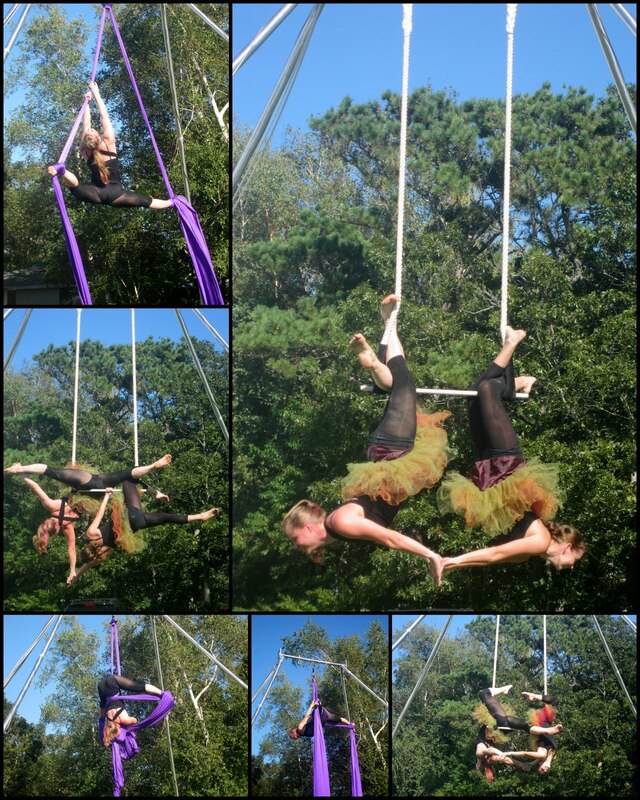 On the 1st day my mom and I spent the day decorating the Big Top Tent for that night. These two women from Airly Acrobatics performed on the trapeze and using silk. It was outstanding! I loved watching these two women who are incredibly strong but also so graceful. Day 1 - Opening ceremonies were on the Village Green in Hyannis. After that Jenn and Meghan were off to walk 20 miles and my mom and I went to the Sea Camps to begin our day. We made sure to make it to the finish line at the Sea Camps to see Jenn and Meghan come in. They looked great! They were off to soak their feet and have massages. Good rewards after walking 20 miles! After dinner and the evening program it was time for bed. Lights were off by 9 PM in our cabin! Wake up call comes early! Day 2 - They were off for another 20 miles. Once they were gone the crew got busy breaking down things from the day before and decorating for the evening candlelight program. We decorated the "wall of hope" and did some "chalk" drawing to welcome the girls back. We again greeted them at the finish line. The evening program for Saturday night is always very special and inspirational. There were two special speakers - a husband of a woman w/ MS and a 10 year walker who has MS. Both shared their personal stories and what the Challenge Walk has meant to them. Always a special part of the weekend. At the end we light candles while a poem is read. Day 3 - "Only" 10 miles today! The walkers were off and we welcomed them in at the pre-finish line in Dennis. We all enjoyed lunch together and then loaded buses to Hyannis. All the walkers, staff and crew walked down Main St. in Hyannis together. Family and friends were waiting for us on the village green to cheer us in. Jenn and Meghan did such a great job. Despite blisters and sore bodies they walked all 50 miles! So proud of them for their commitment and for raising over $3,000 for MS.
We stayed in the same cabin as last year. Lucky #13! We sleep in bunk beds (luckily we all got bottom bunks) and we have bathrooms but no showers. We have to walk to another building to take a shower. So kind of roughing it. It is about as close to camping as I'm going to get these days. Peyton, Ella and Laney were very happy to see Jenn and Meghan. Lots of hugs and kisses were given. My dad, my brother Timmy, my cousin Chad and cousin Katelyn all greeted us too. So thankful for all of their support! It is really hard to put to words how amazing this event is. You just have to be there and experience it to really "get it." You get to be around so many wonderful people both w/ MS and w/o. 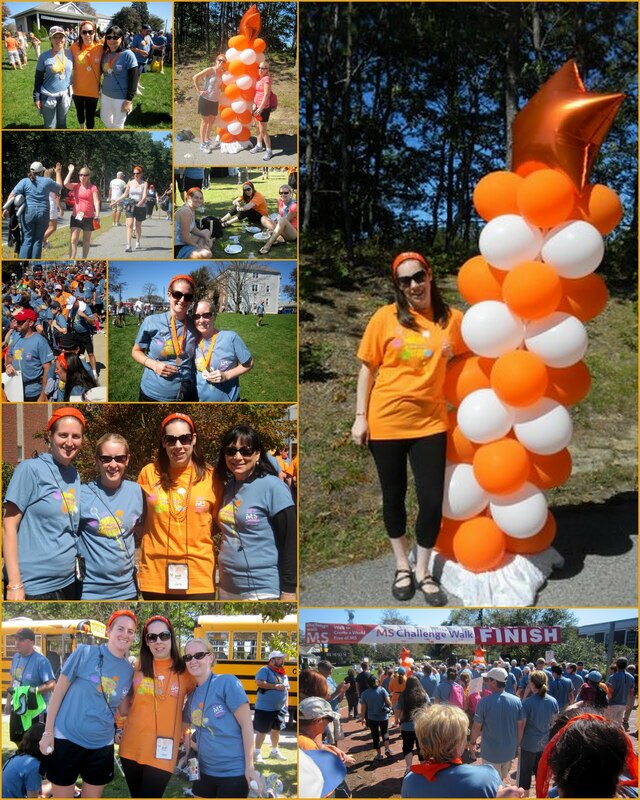 So awesome that over 600 walkers and over 200 crew members come together to raise over 1 million for MS! 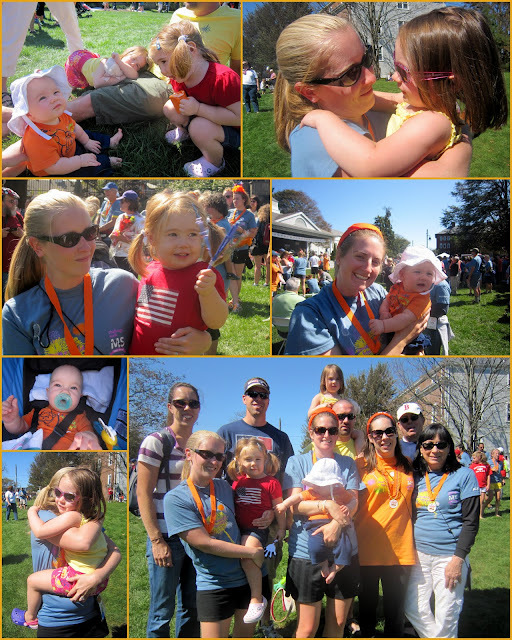 Together we are truly making a difference and helping to find a cure for MS. Someday we hopefully won't need to do a fundraising walk and will just all get together for a big celebration party - celebrating a cure! So feeling truly inspired by the even and by my Jenn and Meghan I have decided to actually walk the walk next year. I must be crazy. My body may hate me afterwards but I just want to experience it from the walkers perspective. So what do you say? Want to walk with me? Want to crew with my mom? The Bean Team is welcoming new members!!!! To join The Bean Team go here.